SKU: XBP011. Category: Christmas Berries & Picks. Tags: Berry Pick, Christmas Pick. 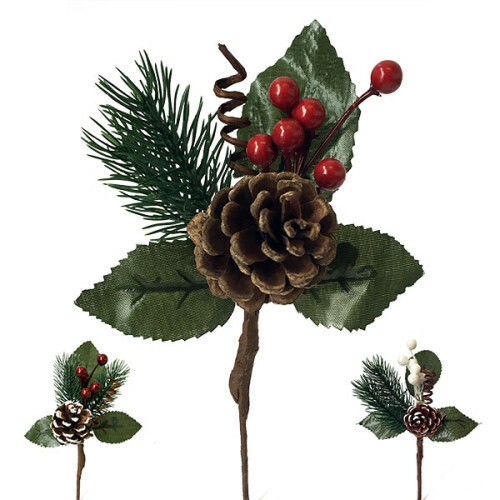 • A decorative pick with a single natural cone, artificial berries, pine & leaves. • 6 berries of approximately 1cm diameter. • Ready taped and wired for use. • A cluster of shiny balls. • 3 Balls per pick, 2 Glossy & 1 Matt coloured. 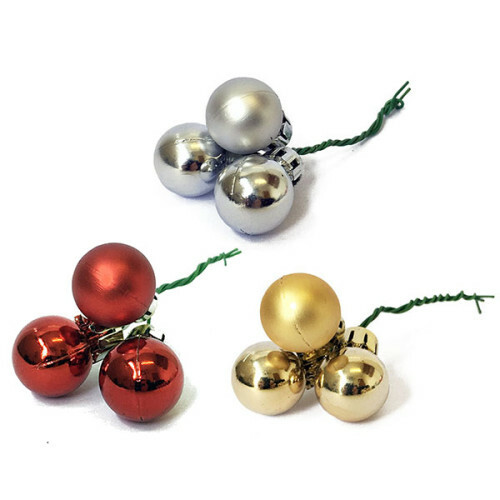 • The Christmas balls are 2cm in diameter. • Attached to a green coloured stem of 7.5cm. • The total pick length is approximately 10.5cm. • Available with red, silver or gold Christmas balls. Colours may be mixed to obtain quantity discounts. 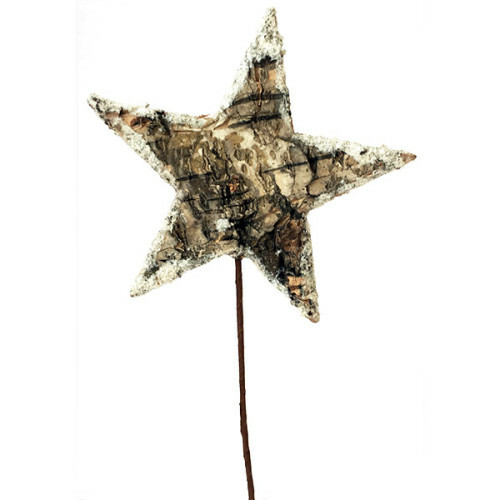 • Natural looking star shaped birch bark pick with soft snow edges. • Approx 6.5cm from point to point on the star. • Total length approx 12cm. 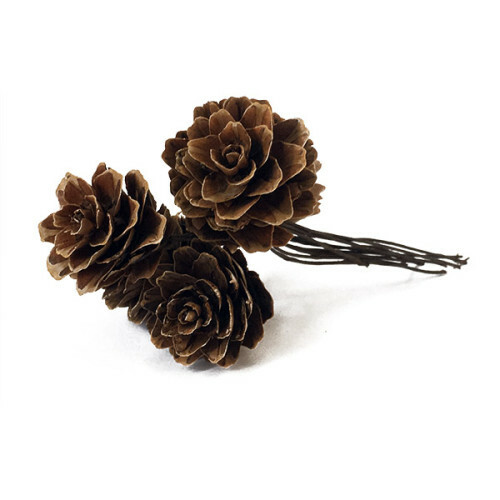 • Wire stem to push easily into floral foam. • Supplied individually or in a box of 30 pieces. 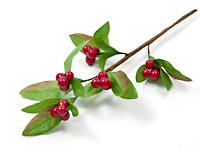 Mini Berry Pick with Leaves – 6 Picks available from The Essentials Company the specialist suppliers of labelling, tagging, tying, marking, and floristry sundries for business, home and garden applications.